Press The Joker's chest plate to switch on the LED lights in his feet! Ideal for any Batman or Lego fan! 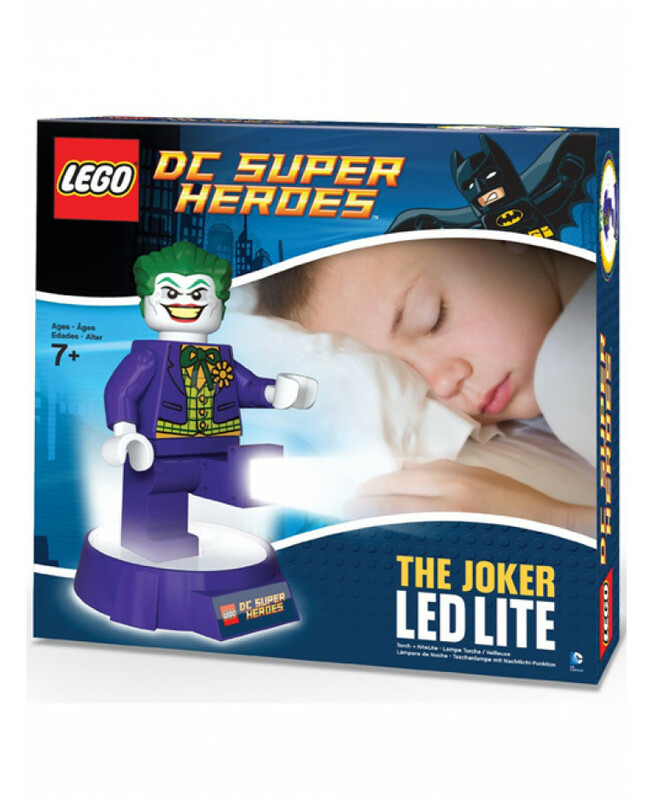 This awesome The Joker LED light doubles as a torch and night light complete with posable arms and legs. 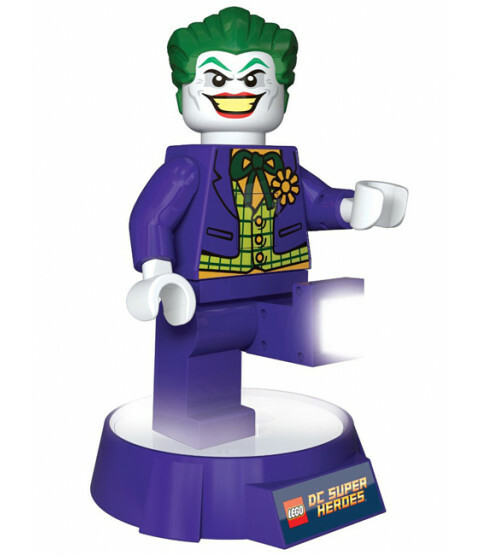 Remove The Joker from his base to enable the torch function and provide you with light wherever it is required. Place The Joker back on his base to use the night light function which will automatically switch off after 30 minutes to save battery power.